Flagstaff Gardens were Melbourne’s first public gardens. Established on the highest point of land in the city, the gardens hosted a signalling station (still found in the gardens), that flagged the arrival of ships in the bay. Also known to early settlers as Burial Hill, the gardens were a pioneer burial site until the establishment of the Melbourne Cemetery (1853). 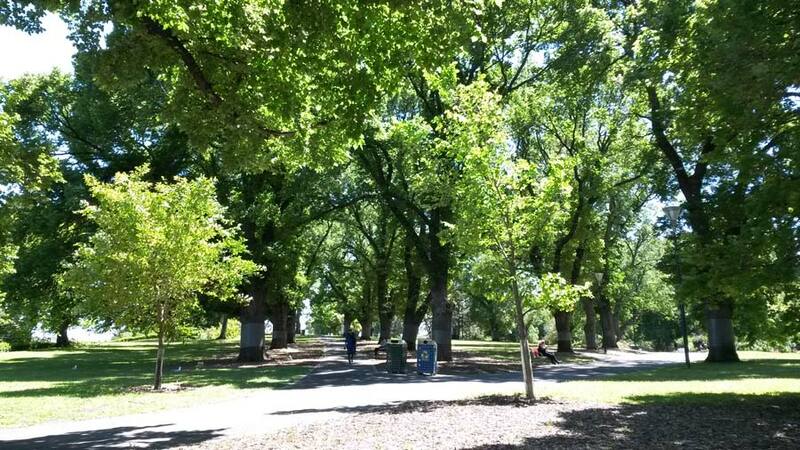 Today, Flagstaff Gardens features picnic areas with barbecues, a playground, toilets, tennis, netball and volleyball courts, and a walking path. The gardens are a popular lunchtime oasis for workers in the city’s northwest, and neighbour the Queen Victoria Market.